With another session or two of GW2, I reached level 10 on my new necro. I adventured a bit further into Queensdale, a zone I’m not too familiar with since my other characters are non-human, and after helping the locals solve various Skritt issues, I was close. Some fisherman near Beetletun needed help catching crabs, so I swam around and did the work. 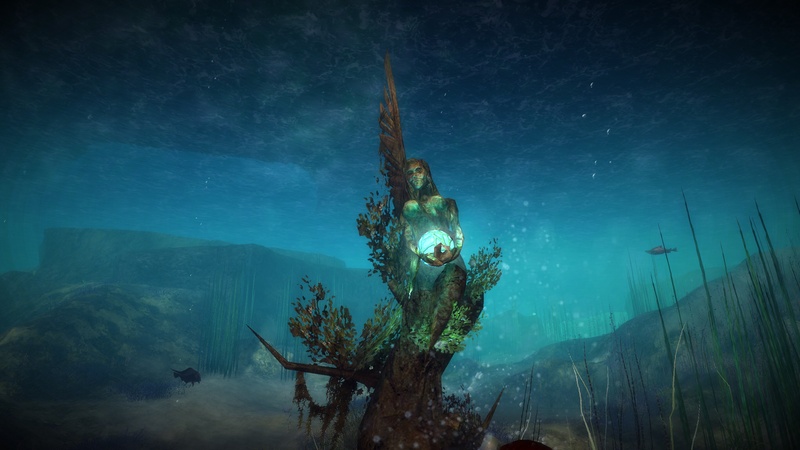 I hit level 10 underwater but surfaced before claiming my reward. One of the level 10 rewards was “Vistas Unlocked”. What? I was lazy and didn’t do any vistas so far – part of that is I’m trying to do all exploration on character, my ranger Glyneth, but I didn’t think you had to be any particular level to view a Vista. I clicked on the icon and the explanation was that Vistas now appear on the mini-map. Ah, well I hadn’t noticed actually. Along with level 10 came a letter from Petra, wanting to meet at the Merchant’s Coin tavern. Ah yes, but first, I stopped by the bank to retrieve an experience scroll. Using it leveled me to 20, where I bought a round of level 20 armor and a few extra weapons. Since once of the level rewards was a nice staff, I kept it. Well I’ve slacked off a bit, and I blame the good weather which makes it easy to focus on other hobbies. But the reality is I don’t have as much game time as I used to. 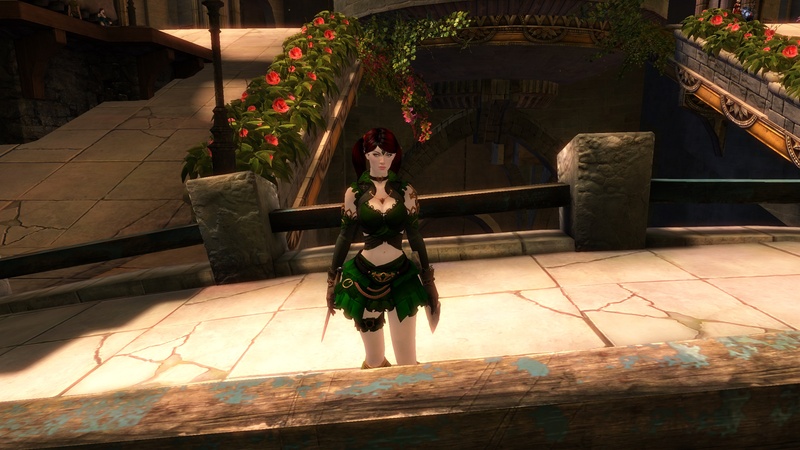 So when I did get a bit of time, I jumped into Guild Wars 2 because it offers quick entry and action, i.e. I can spend an hour playing the game rather than spending half that time setting up running in-game errands in order to then play the game. 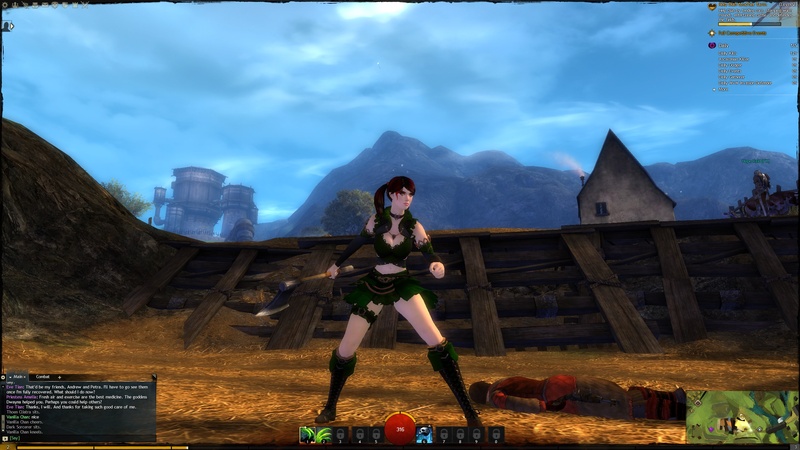 ArenaNet revamped the intro to the game, so I thought I’d roll a new char and fiddle around a bit. Thus, I created Eve the Necromancer. I hit level 6, and these first few levels are definitely more guided than they were before. No unlocking skills through use; instead they come at a level up. The quest arrow led me around to each of the initial quest hearts for completion. 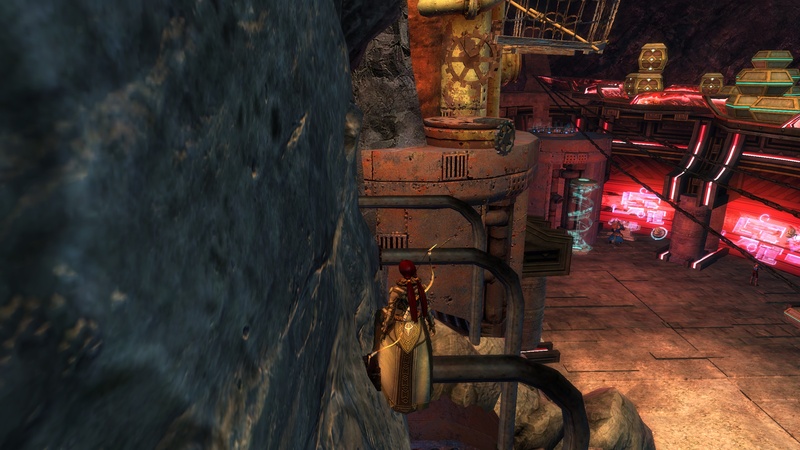 There was a dodge tutorial thrown in at level 5, in between the location of two quest areas. After wrapping that up, the quest arrow suggested speaking to the next scout to unlock more hearts to complete, opening up more of the map. All in all, it was a nice guided tour, perhaps a bit of a funnel but I think a truly new player would be busy just getting the game down on not really noticing they were led around fairly linearly. It was a bit annoying at first, but I just kicked back and played through this initial content and found it really wasn’t so bad. It did get repetitive using the same skills and only getting a new one to use at a level up (or not, sometimes the level up granted equipment). I figured out by swapping weapons I immediately accessed new skills, so I switched between the axe and dagger and that gave some variety. 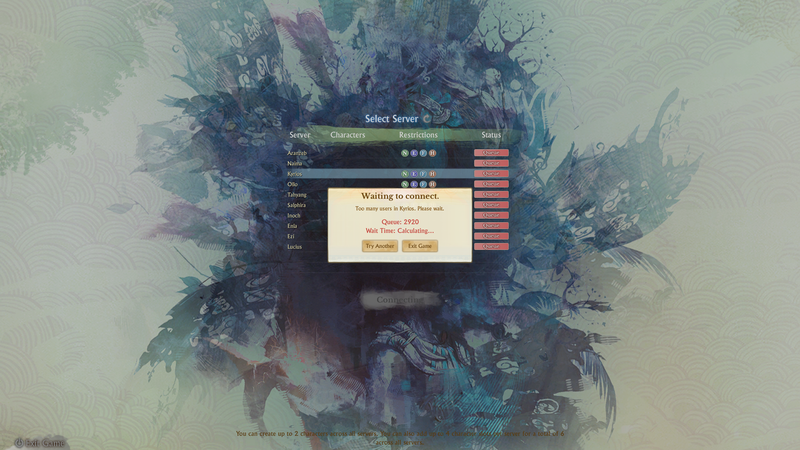 I’ve been playing MMOs since 2000 and maybe all the stuff I would just take for granted are the things new players need to be taught, so I can’t blame ArenaNet for making the process easier. More experienced players can just skip right over the first 20 levels anyway – I myself had several insta-level-20 scrolls to use and have done so already… but I held back for this character just to see what the new process is like. 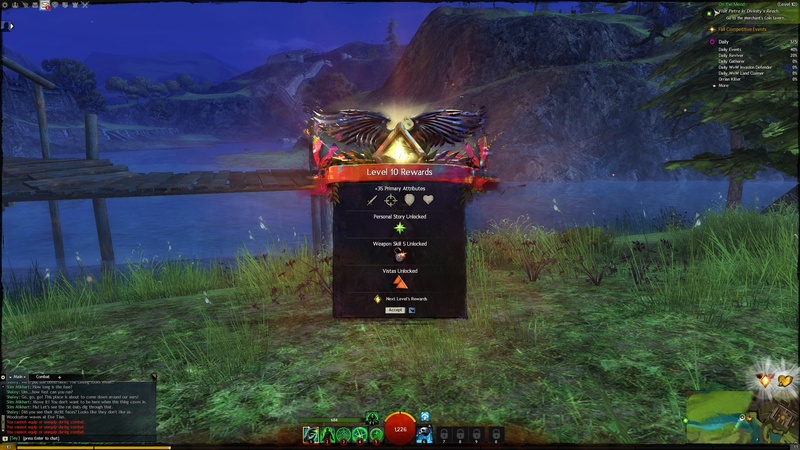 As I understand it, when I hit level 10 the storyline will pick up, and at that point I might use the insta-level-20 scroll – why not, of all the character classes I only have the necromancer and assassin as low enough level to be able to use them – but playing this new extended tutorial makes me realize that GW2 really hits the right design for people like me: ones that don’t have a tons of time each week, and appreciate a game that you can jump into and out of quickly. EVE Online is not such a game. Not to criticize CCP – I think the EVE Universe, game, and overall mechanics are fantastic – but it is tough for me to do anything in the game lately. Just hauling goods to market can take about an hour to an hour-and-a-half of round trip travel time, then add in 15-30 minutes to collect everything off all the planets my 2 PI farmers are running, scan for the wormhole exit, take various precautions due to the “PVP everywhere” nature of the game… I think the minimum block of time to do something useful in EVE is 2 hours, and I’m finding it tough to fence off that kind of time right now. I’m even mega-lazy and have set up 6 day 22 hour PI cycles so I only have to reset the extractors once a week. That process can take up to an hour, depending on how the distribution of planetary resources changed since the last time, which in turn means moving extractors and potentially re-routing or rebalancing the extracted resources. Mostly the looming threat in EVE is loss, and how long it takes to recover from loss. Unlike other MMOs, you don’t respawn with all your armor and items (maybe damaged but easily repairable); in EVE, you respawn at a station and then need to repurchase all the stuff you lost, which in turn could mean traveling around to get decent prices, shopping for 5-10 modules. I’m in a wormhole so after all that, getting back could mean a 20+ jump trip. Ugh. 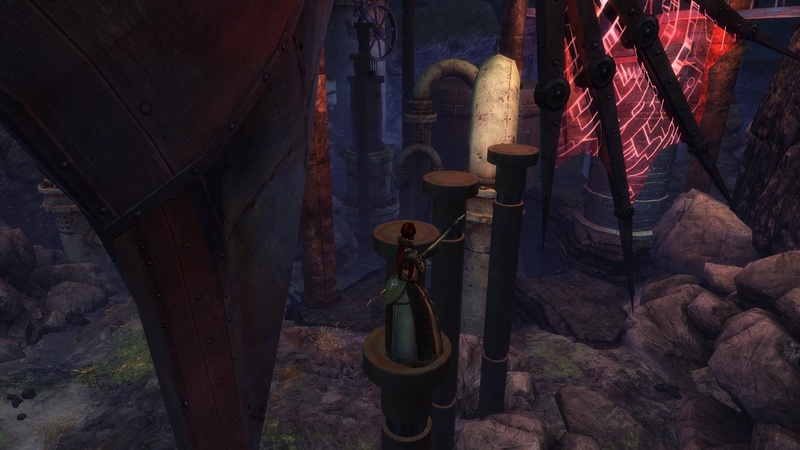 Basically, I’m going to peck away at my new necro for a few more levels, 30 mins to an hour at a time, which I can do in GW2 and make progress, as opposed to EVE where that little time really means I can’t do anything at all. I’d like to do some exploration in EVE, fly cloaked into unknown space and search for data or relic sites, but I’d need to block off several hours to do it and that’s difficult for me to arrange right now.